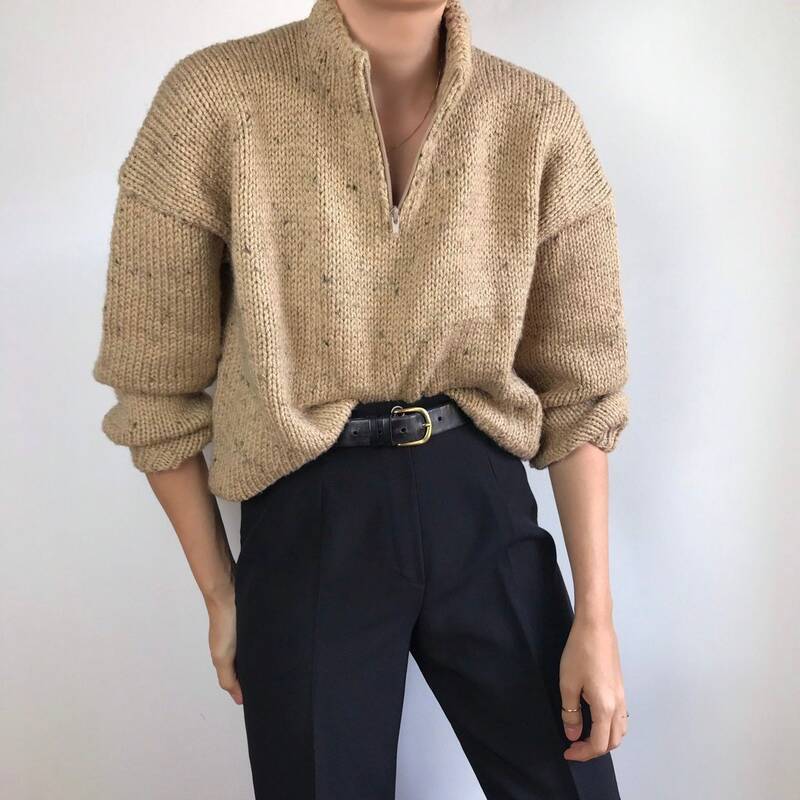 ‘90s vintage flecked mocha knit with zip neckline. No size label. Will fit XS/L -styled oversized. Shown on a size S model on the picture. No fabric label. Possibly cotton&wool blend. Has some wear on, natural process of the material.